You'll need to start a day ahead so that after the stock is cooked and strained, it can sit overnight in the refrigerator. 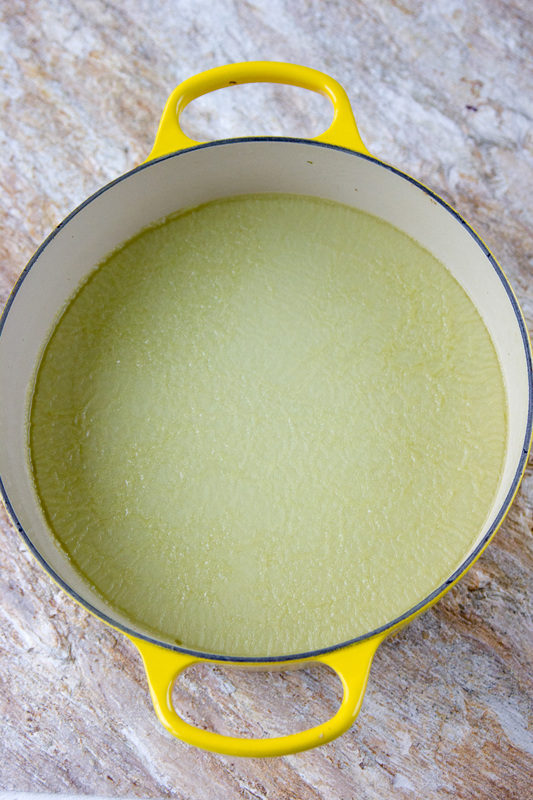 Once chilled, the chicken fat will rise to the surface and solidify. It can then be skimmed off and discarded ,or a small amount can be used in place of the oil that is added to the matzo balls. 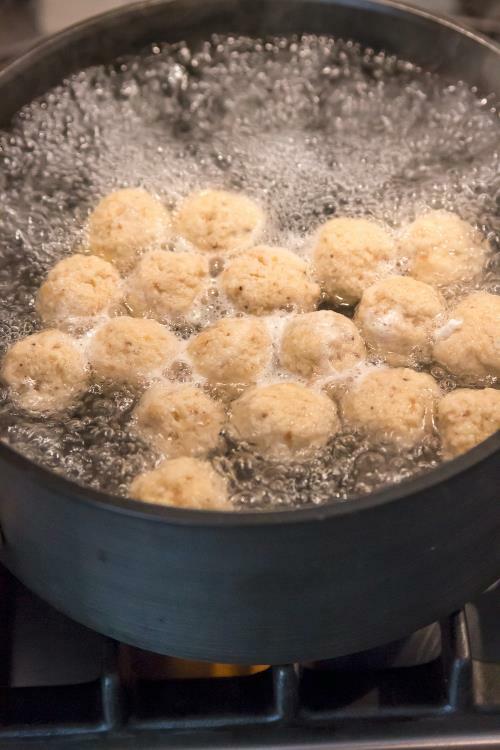 Matzo balls fall into two categories, floaters and sinkers. I prefer floaters that are light and tender as opposed to the dense sinkers. To keep them light, I follow a few rules. I use sparkling water instead of tap, never over mix the ingredients, and allow the batter to rest in the refrigerator for several hours (or overnight) before cooking. 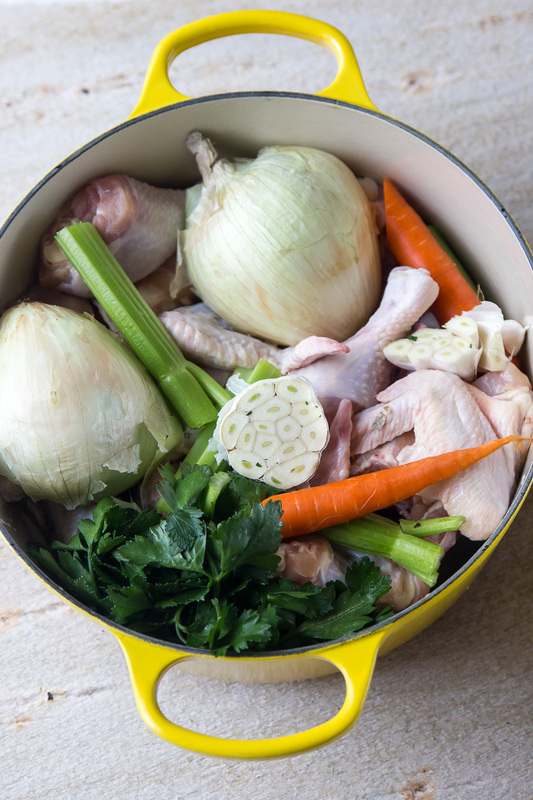 Chicken, onion, celery, garlic, carrots, and fresh parsley, go into the stockpot. Cold water is added to cover the ingredients by about 2 inches. It's brought to a boil, the scum is strained off the top, and the broth will cook at a slow simmer for about 4 hours. 7 lbs. assorted chicken parts such as backs, necks, wings, and thighs. Cold water to cover by 2"
Bring mixture to a boil over high heat, then reduce to a simmer. Skim off any scum that rises to the top. Simmer for about 4 hours. Strain stock removing vegetables and meat. Next day skim off the layer of chicken fat and discard. Season chicken broth with salt and pepper to taste. In a medium bowl, mix eggs well with a fork. Add chicken fat or oil, seltzer water, matzo meal, and salt. Bring water to a boil in a large pot. Add salt. 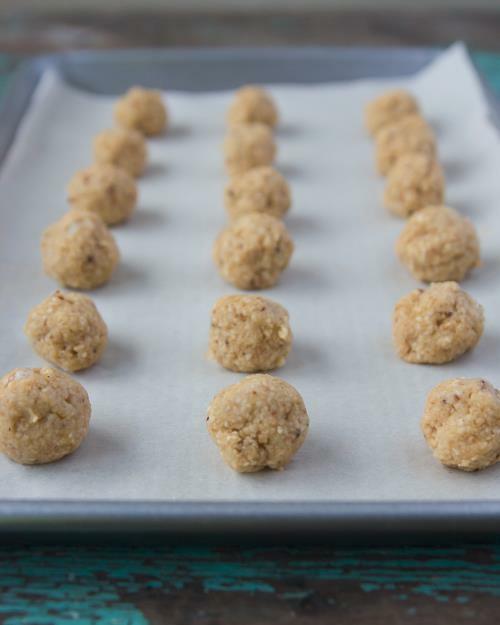 Dip your hands in water and form about 12-15 small balls from the mixture. Drop into the boiling water. Add to the chicken broth and serve.